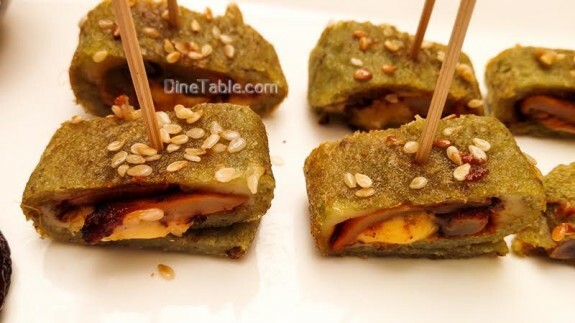 Mushroom Wrapped in Dal Pancakes is a 100% vegetarian starter. The snack is loaded with nutrition and taste. So easy to feed kids. I have used green gram (Cherupayar, ചെറുപയർ) to make the wrap. Nutritional value of green gram is very high and ideal for those who are on low carb diet. Here I have added cheese too. However this is optional. 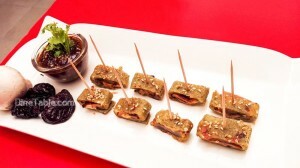 Then comes mushroom which are rich in vitamin D and the secret is mushrooms taste similar as meat. It is indeed a tasty and delicious vegetarian dish. 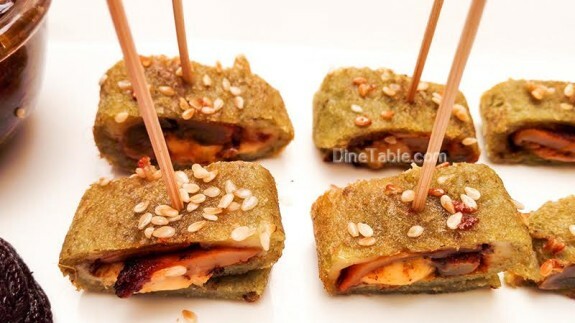 Hope you all try this homemade Mushroom Wrapped in Dal Pancakes Recipe / Ramadan Recipe / Starter Recipe / Vegetarian Recipe. 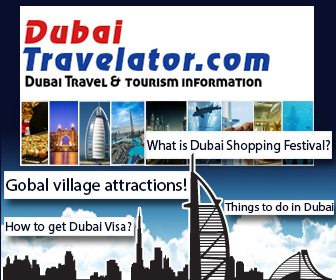 Click here for other tasty and delicious vegetarian recipes.. Grind all ingredients listed to make pancake into a thick batter. Make some pancakes and keep aside. Meanwhile in another pan, add little butter & fry the mushrooms which are marinated for half an hour with chilli powder, coriander powder, turmeric powder & salt. Then add fried mushrooms on top of pan cakes followed by cheese on top. 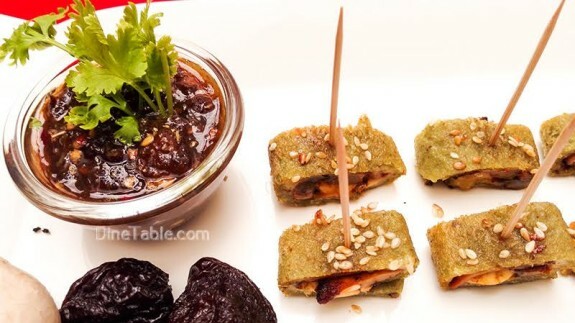 Roll the green gram pancakes carefully to make a wrap. Heat a pan, add some butter and place the wrap on the pan to make all sides of the wrap crispy. 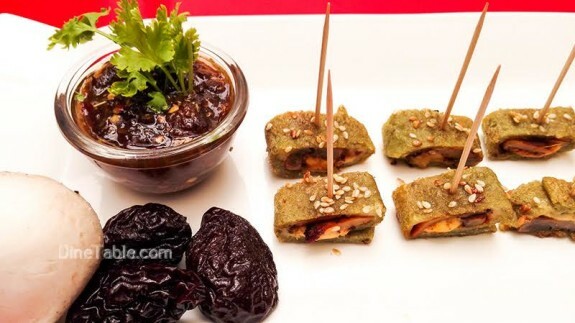 Now your mushroom wrap in green gram pancake is ready to serve. Then take out the wraps from the pan and cut into small pieces.